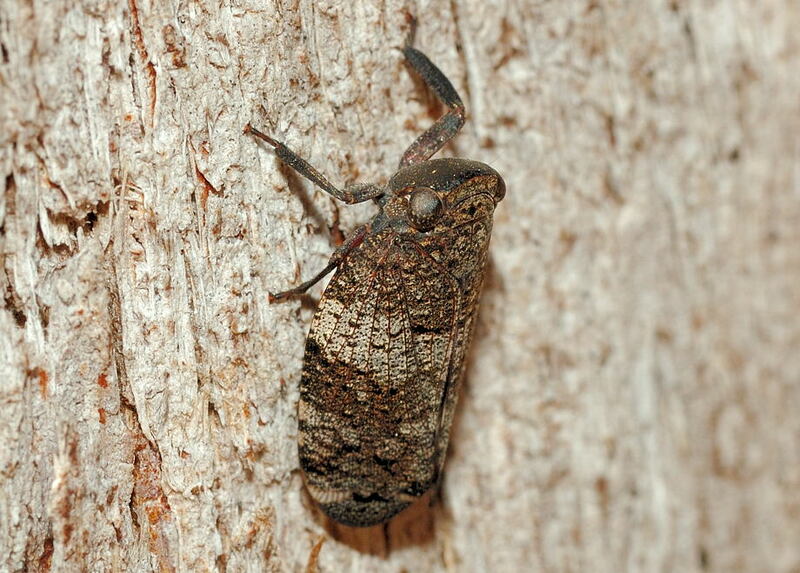 This page contains pictures and information about Ripple-marked Gum Hoppers that we found in the Brisbane area, Queensland, Australia. 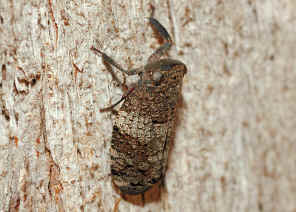 Ripple-marked Gum Hoppers are dark brown in colour with white pattern. 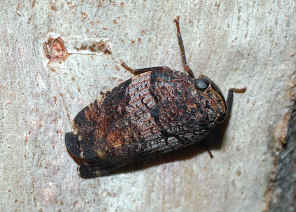 Its frons and legs are dark brown. The abdomen is bright red. The forewings are brown with pale brown patterns. There are the dark brown ripple patterns on white. 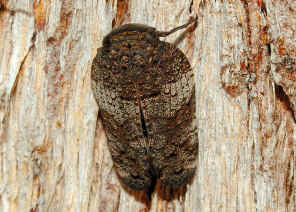 Hindwings are blackish in colour. 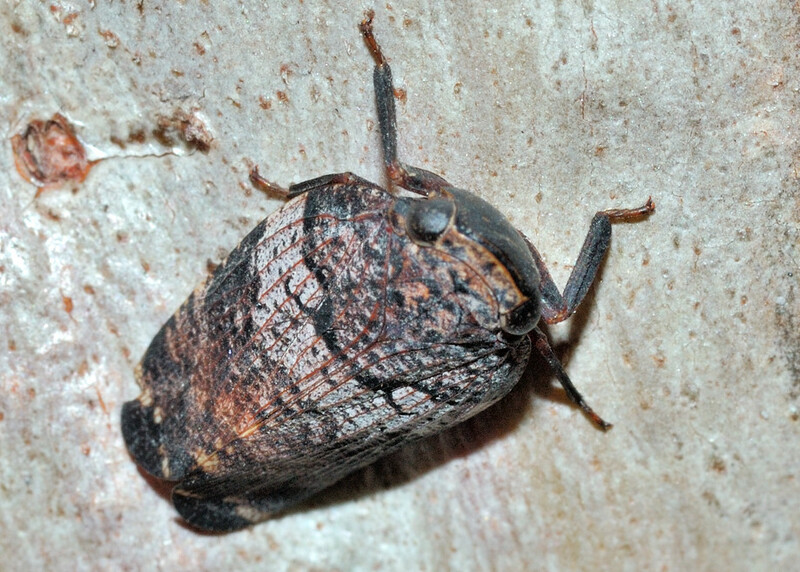 The patterns on the wings of each individual of this species were a bit different. The head and the frons are dark brawn . The about pictures we taken in Karawatha Forest on June 2007. This species seems not as common as the other planthopper species in Brisbane. We found them only a few times. All were found on smooth bark gumtrees. 1. 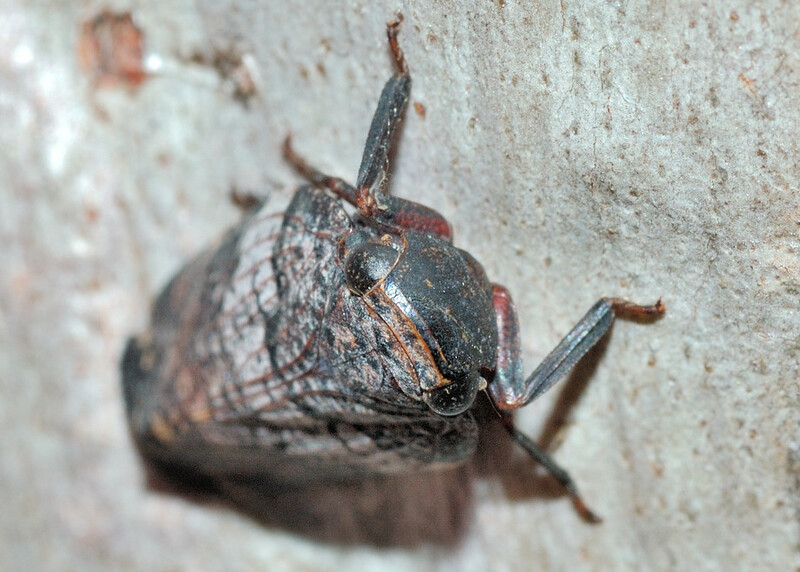 Species Platybrachys signata Distant, 1892 - Australian Faunal Directory, Australian Biological Resources Study. Last updated: April 13, 2012.